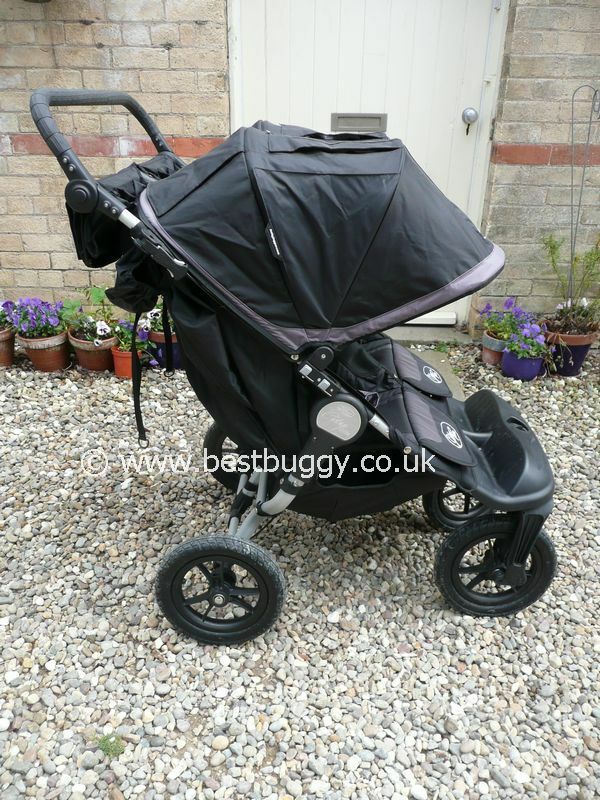 The Baby Jogger Elite Double is a luxurious, comfortable pushchair across all terrain. 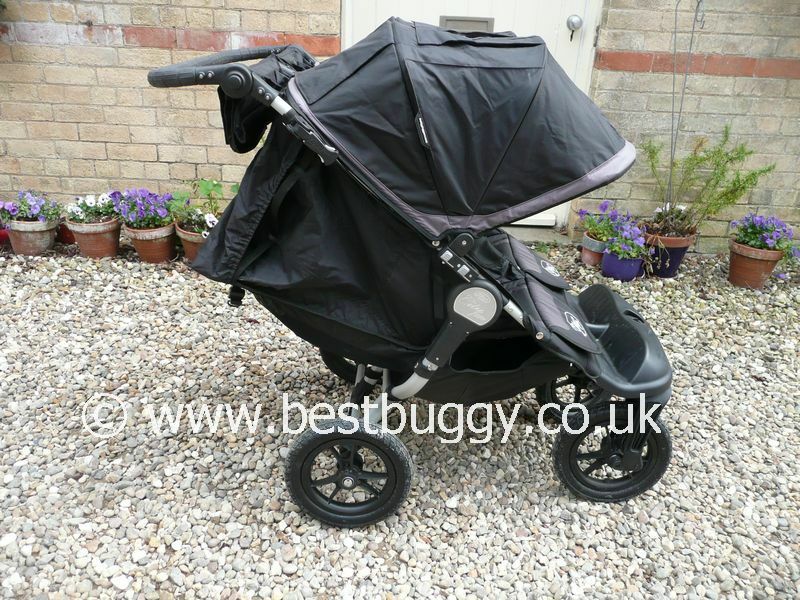 Great for doing the school run, shopping, walks in the park or all day outings. 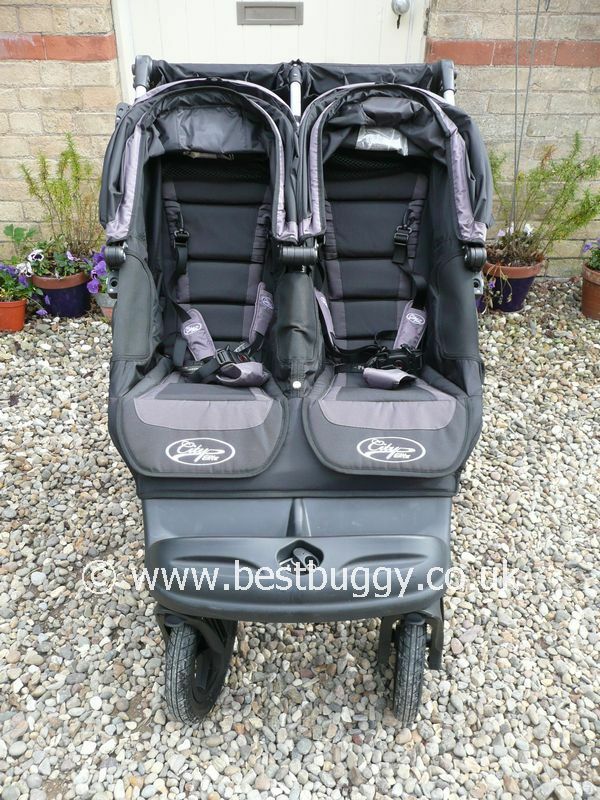 Suitable from birth with lie back near flat seats and huge hoods. Simple and quick to fold to save time. Padded plush seats. 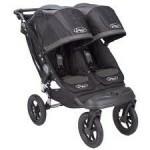 12" forever air tyres for easy pushing over all terrain. Handles kerbs with ease. Raised kicker offers good leg support for smaller children and easy access to the large basket. 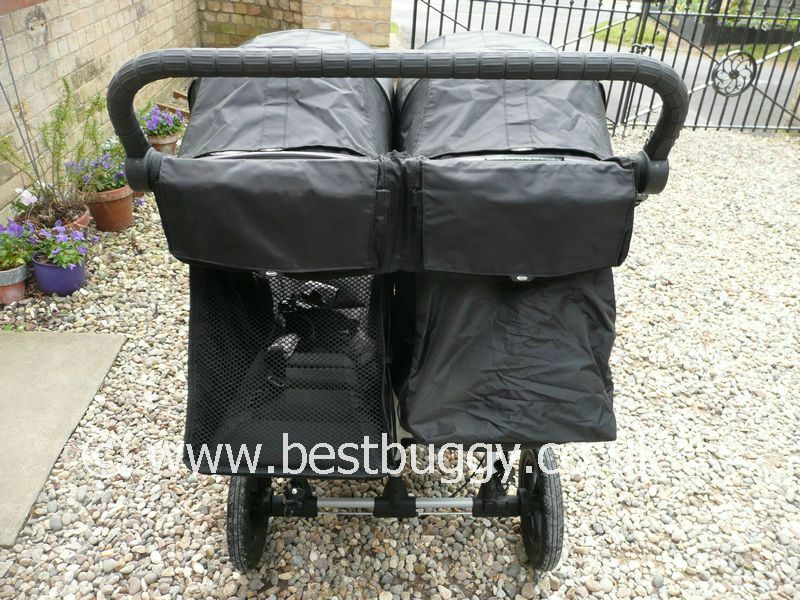 Simple reasonable fold for a luxury pram, made smaller by easy remove wheels. Fits through a standard doorway. 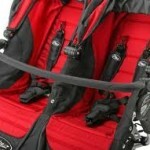 Great parent console with numerous pockets for storage. Easy handbrake. Heavy to lift. No compatible carrycots. Limited access for large bags in the shopping basket. The car seat adaptor for one car seat appears to be only available in the US. Seats are set back in the frame so peripheral view is limited. 12" PU (foam filled) forever-air quick release tyres. 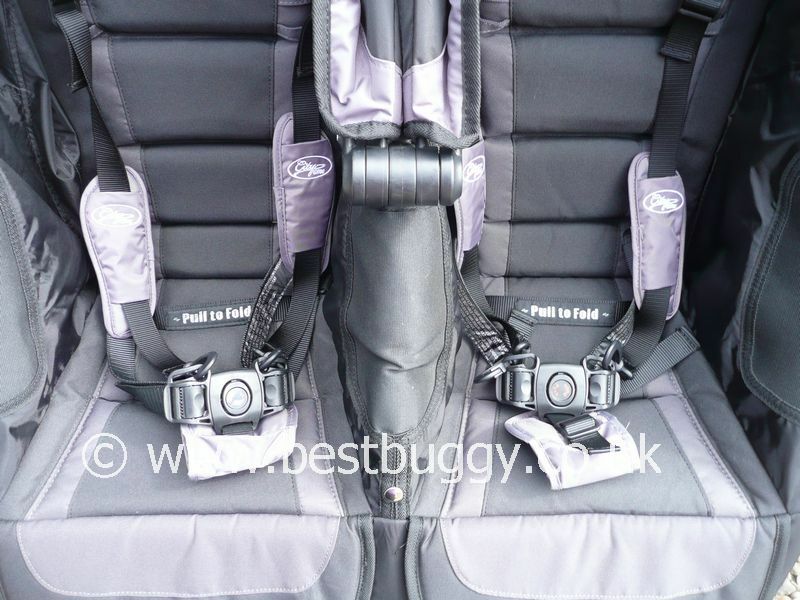 Handbrake, Storage strap, Magnetic closures on hood flaps, Amazing double parent handlebar console full of pockets and flap storage, deep net pockets on the seat backs. Our mums have used soft cots like the Graco or Petit Zia to give a parent facing option for a newborn baby. However this does require the double belly bar to hold the cot in. 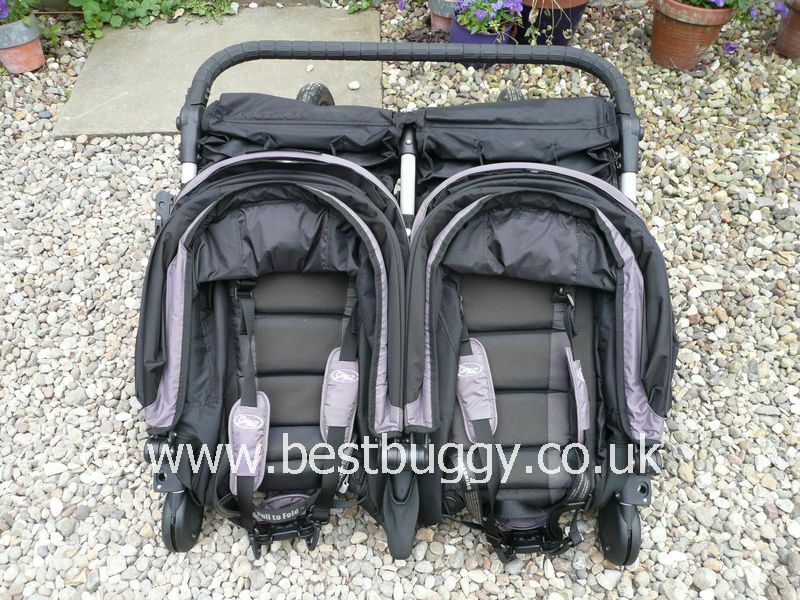 This isn't recommended by Baby Jogger but is what mums have done in the past. 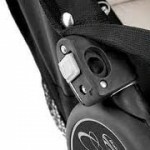 www.letsgostrolling.com will import the car seat adaptor for using a single car seat on the Baby Jogger City Elite Double pram. The Elite can not take two car seats.